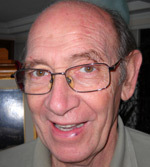 Dr. Frank George practiced osteopathic medicine for more than 25 years and homeopathic medicine for more than 14 years. He was the first osteopathic physician in the United States trained in Insulin Potentiation Therapy (IPT). He was also an accomplished chelating physician with the use of EDTA, DMPS, and DMSA for heavy metal toxicity and cardiovascular disorders. Dr. George’s legacy and protocols continue to live and thrive in our clinic. 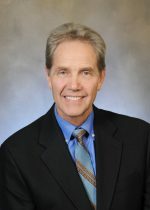 Hayle T. Aldren MD(H) has been a consultant in Integrative Cancer Medicine for over 30 years, following postgraduate studies in complementary oncology in Germany. During residency he trained at Memorial Sloan-Kettering Cancer Center. He has also done advanced studies in infectious and occupational causes of cancer, and is a diplomat of the Royal College of Surgeons (I). He currently teaches and consults internationally, and served as a senior IPT instructor for ten years. His research and practice activities include biological and immune therapies, nutritional and metabolic support, and preventive and rehabilitation oncology. 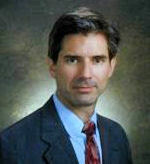 Dr. Elliott Dean Schmerler, popularized by patients as “Dr. 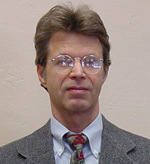 Dean”, received postdoctoral training in homeopathic medicine from the Desert Institute School of Classical Homeopathy, in Phoenix, Arizona. He is also certified in Insulin Potentiated Therapy. Dr. Dean received 2 years of training in integrative cancer treatment from Dr. Frank George, the founder of EuroMed, and ongoing experience in integrative cancer treatment at EuroMed for over 10 years, as the clinic administrator. 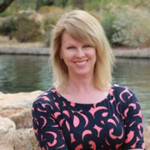 Dr. Dean is the current president of the Arizona Homeopathic and Integrative Medical Association (AHIMA). Dr. Ruth Tan Lim MD; MD(H), FAAP, FAAARM graduated from University of Singapore Medical School in 1968, received her training in Singapore and United states. In 1972, she obtained the post graduate Master of Medicine (Pediatrics). She trained in Singapore and United States including a Fellowship in Pediatric hematology – oncology from Babies Hospital, Columbia Presbyterian Medical Center, New York. She practices integrated medicine encompassing nutrition, nutriceuticals, botanicals, homeopathy, homotoxicology and oriental medicine helping patients achieve healthy living. As an integrative physician, she uses a functional medicine approach to help patients manage and maintain optimum health. Dr. Lim brings more than 30 years of experience and exceptional educational background in Integrative Medicine and Cancer treatments to EuroMed. Helena Taboy is a certified Family Nurse Practitioner and a Registered Nurse. 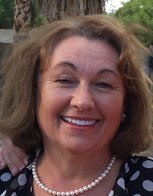 She completed her Bachelor of Science in Nursing and then earned her Master of Science in Nursing, Family Practice from Grand Canyon University. Helena is certified as a Family Nurse Practitioner with the American Association of Nurse Practitioners and certified as a Hospice and Palliative Care Registered Nurse. 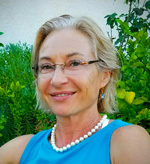 Wanda graduated from the Lublin Medical Academy, Poland, in 1976 and was awarded a specialty degree in trauma surgery. She worked as a trauma surgeon at Warsaw Hospital from 1979-1989. She moved to the United States and obtained certification as a homeopathic medical assistant (HMA). 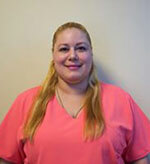 In 2002, she joined our medical center and supervises the IV division. She is certified in the use of Insulin Potentiation Therapy. To our patients undergoing alternative treatment for prostate cancer,lung cancer and other life-threatening cancers, she is their emotional lifeline, their mother, and their trusted friend. 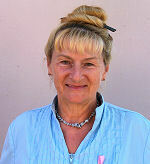 Yulia Ruditser was trained as a medical doctor in Russia, practicing neurology and neuroscience for 25 years. She has also mastered CranioSacral therapy, Reiki and Nutrition over the past 10 years. She engages spiritual practices, energy work and yoga foundation elements. Yulia serves as a highly valued registered Homeopathic/Integrative Medical Assistant at EuroMed, as part of our medical team. 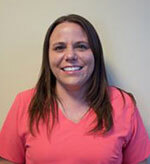 Shelley is a registered medical assistant, trained at Carrington College in Phoenix, Arizona. 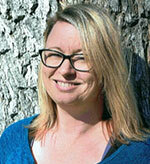 She is also a registered Homeopathic/Integrative Medical Assistant in Arizona. Shelley is a trusted and important part of our medical team. She has extensive work experience spanning many years here at EuroMed. Alcides received a Bachelor Degree in Nursing from the Medical University of Camaguey, Cuba. He also received additional training in Nursing Process, Administration of Medications, Accident and Emergency care, Chronic Disease, Infection Control and Ebola disease in Cuba and Jamaica. He worked as a registered nurse in Cuba and as a medical assistant in the U.S. He published and presented Nursing Process applied to a Hemorrhoid disease in Jamaica. Alcides is a highly trained registered Homeopathic/Integrative Medical Assistant and brings his expertise to our medical team at EuroMed. 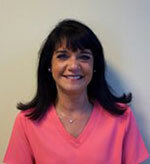 Evelyn attended Fortress Medical Assisting School and has 25 years of experience as a Certified Medical Assistant for an Orthopedic Physician group in New Jersey. She brings her experience and expertise to EuroMed and is highly valued as part of our medical team. Ailyn earned her medical degree from the Higher Institute of Medical Sciences of Santiago de Cuba, with post-doctorate training in General Medicine and Pediatrics. She also obtained a degree in Occupational Medicine at the University of Carabobo in Venezuela. 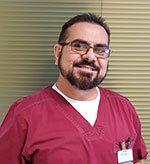 Dr. Mendez works at EuroMed as a registered medical assistant and a registered Homeopathic/Integrative Medical Assistant, as part of our medical team. 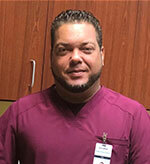 Marlon graduated in 2001 as a registered nurse from Cuba. He has postgraduate experience in ICU and Emergency care. He is a registered medical assistant in Arizona. He has brought his experience and skill to EuroMed and serves as a highly valued registered Homeopathic/Integrative Medical Assistant as a member of our medical team. Ivett graduated as a nurse in 2005 from Cuba and is a certified phlebotomist in the U.S. She works as a very skilled registered Homeopathic/Integrative Medical Assistant as part of our medical team at EuroMed. 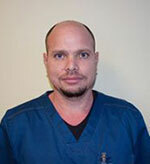 Gualberto graduated as a registered nurse in Cuba and has extensive management and teaching experience in emergency, medical and surgical disciplines. He served as the nursing manager for the main operating theater at MAD Teaching Hospital in Cuba, as well as their director of the Epidemiology department. He also managed the nursing department of emergency medicine at Westshore hospital in Trinidad, West Indies. He was also the principle instructor professor for the clinic of Bachelor of nursing in Cuba, as well as many other distinguished positions in his past. He brings his unique skill and expertise to EuroMed, as a registered Homeopathic/Integrative Medical Assistant and Manager of our IV department. 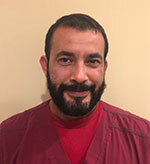 Jorge is a medical doctor from Cuba, practicing family medicine and internal medicine for 8 years. He serves as a highly trained and valued Homeopathic/Integrative Medical Assistant at EuroMed, as part of our medical team. Y.M. 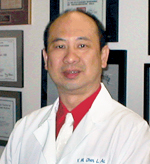 Chen, Ph.D., L.Ac., has practiced Traditional Chinese Medicine (TCM) for Psychosomatic disorders, Neuromuscular and Musculoskeletal pain since 1991. He studied and trained at Traditional Chinese Medial College of Hong Kong, Chinese Taiyuit Acupuncture Research Institute of Hong Kong and Amoy University, China. He has received his Doctor of Philosophy in Oriental Medicine from American Liberty University. He is the president of Chinese Health Center, Inc. Anthem, AZ . 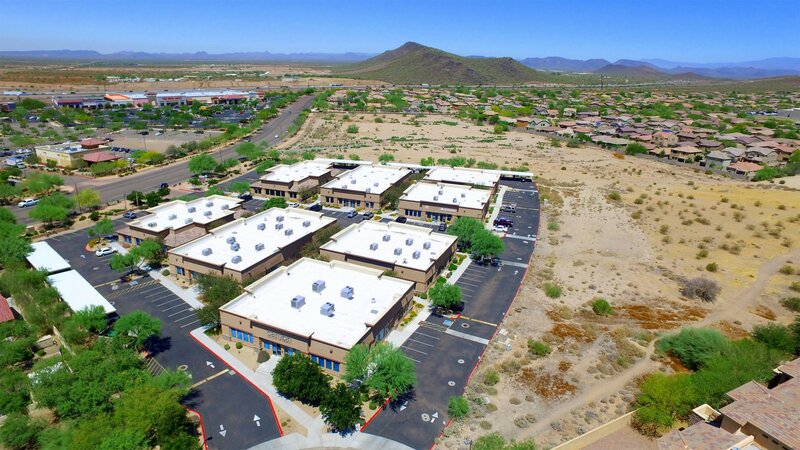 Currently, He is a member of The American Association of Acupuncture and Oriental Medicine, World Association of Tung’s Acupuncture, The American Abdominal Acupuncture Medical Association and Arizona Society of Oriental Medicine. With his distinctive nature, unique characteristics, leadership experience, educational skill and acquired treatment methods, he offers his best knowledge and services for both Acupuncture associations and the communities. He provides resonant, quality healing and tremendous relief to those in need of disease prevention, and to those who desire to reach the better quality of life. 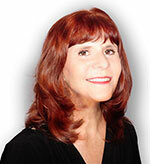 Victoria Bowmann, PhD has been a driving force in holistic health for almost four decades. She earned her PhD (1999) from Westbrook University in Homeopathy and Natural Medicine. Her work has principally been in probiotic research and the benefits of detoxification for well being. 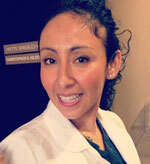 She is a certified colon therapist and licensed massage therapist in the state of Arizona. 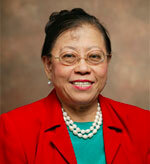 She is presently the chairman of the State Board of Massage Therapy. Bowmann has been a regular contributor to several national publications including: Explore! for the Professional, Naturopathic News and Review, and Public Health Alert. She presented at the Utah Footzone Conference (2016), Academy of Comprehensive Integrative Medicine in Long Beach CA (2013), 40th Annual Cancer Control Society (2012), Lyme-Autism Connection Conference (2009). As an international educator, she has presented seminars, lecture, workshops, and trained practitioners in Europe and the US since 1996. Her first book You Gotta Have GUTS: The Natural Way to Enhance GI Health was published in 2009. The anthology The Power of Giving and The Magic of Thinking GIN also has a chapter from Victoria (may request free ebook). Her goal is to help EuroMed patients in their quest for greater health and to help other practitioners help their patients through the discoveries and information she has brought to the health field. 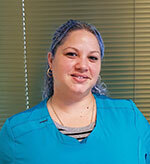 Brandi has more than a decade of experience providing Electro-Lymphatic Therapy in integrative settings. Brandi began her training in Electro-Lymphatic Therapy (ELT) in 2005 and has continued to grow and evolve her personal practice into one that is now taught in Integrative Cancer Centers around the world. She has been certifying ELT practitioners for over 7 years and assisting with integrating the therapy into International Integrative Medical Centers. In addition to being an expert in her field of lymphatic health, Brandi brings more than 24 years of clinical experience in nursing with a background in Critical Care Medicine and Oncology to EuroMed. Dr. Meyer is a true biological dentist who understands how dental problems can be fertile ground for cancer. He has a vast background in the areas of advanced general dentistry (i.e. Dental implants & Temporomandibular disorders) and a mix of services found in complimentary medicine (ie. Homeopathy & physical medicine), he delivers a unique mix of services. 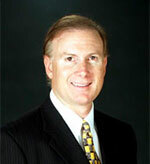 Dr. Meyer brings his dental experience and expertise to EuroMed. Maura is a licensed massage therapist with certification in lymphatic drainage. She graduated from Phoenix College in 2011 with honors. She provides lymphatic drainage treatments at EuroMed by developing a customized plan for each patient. Bridget graduated from The American Medical College of Homeopathy. Her practice includes the treatment of cancer patients at EuroMed. Bridget is very passionate about helping clients and looks forward to helping you achieve a more vibrant, healthy life. Dr. Lasalvia-Prisco is an Oncologist with a strong background in cancer immunotherapy. He served as Director of the National Cancer Institute of Uroguay. He is a member of the American Society of Clinical Oncology. He has authored or co-authored 155 published papers in scientific journals, Medical Congress Acts, international forums and peer review journals. Dr. Lasalvia-Prisco serves on the Advisory Board for EuroMed. Dr. Dau received his medical degree from the University of Uruguay in 1972, then went on to receive his Internal Medicine and Hematology specialty degrees from the University of Uruguay. 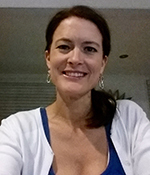 Dr. Dau is an Assistant Professor at the School of Medicine at the University of Uruguay in Clinical Pathology. He is the Chief of Hematology at the National Cancer Institute of Uruguay, Public Health System. Dr. Dau has developed a line of work on the use of stem cell recovery from peripheral blood to treat different diseases. He is a Hematologist Consultant at The National Fund of Resources of Uruguay. Dr. Dau serves on the Advisory Board at EuroMed. Tsuneo Kobayashi is an Oncologist and completed his medical degree at Tottori University. 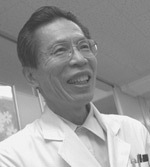 He then entered the graduate school of medicine at Kyoto University, doing research in biochemistry and received his PhD. His career has been iconic in the field of alternative cancer care. His achievements are too numerous to list. Dr. Kobayashi serves on the Advisory Board for EuroMed. 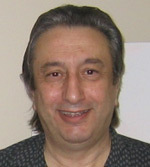 Dr Vouloumanos is an Oncologist who received his medical degree from 2nd Charles University in Prague (Czech Republic). He studied Invasive Brachytherapy, Gynecological Cancer at Alexandra Maternity Hospital of Athens. He received a medical acupuncture diploma from the International postgraduate center of Acupuncture. He is certified from the International Academy for Homotoxicology in applied Homotoxicology from Baden-Baden in Germany. He received training and certification in Radiation Oncology at Alexandra hospital in Athens. He completed post graduate studies in Bioregulatory Aesthetics from the British Academy of Bioregulatory Medicine which included training in Homeopathic Mesotherapy, Cosmetic Acupuncture, Facial muscle isometric exercises and facial manual lymphatic massage. He recently completed 2 years of post graduate studies in London including Nutrition, Mesotherapy, Homeopathy, Homotoxicology, Bioresonance, Acupuncture, Breathing techniques, Pulse Electromagnetic Field, Oil pulling and Platelets Rich Plasma. Dr. Vouloumanos serves on the Advisory Board at EuroMed.